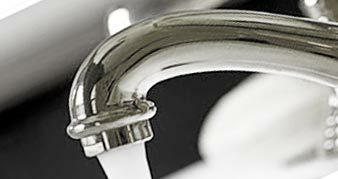 You are here: AABC Plumbing >> Why is my Water Cloudy? Residents of NYC have some of the best tap water in the entire country. The water that flows through pipes is highly filtered and maintained. This allows the water from faucets to not only be drinkable, but to also be tasty. In New York City, it is not uncommon to pour a glass of water that looks cloudy or white. There are specific reasons as to why this might be happening, and plumbers in NYC can easily rectify the problem. Before calling a plumber, it is important to note that this cloudy water is totally fine (meaning that it will not have negative affects on health). The white in the water also does not alter taste. The problem of cloudy water is cause by pressure that builds up in pipes. This pressure creates tiny air bubbles in water. The tiny bubbles are what give water white coloration. Hiring plumbers in NYC is your answer to the problem of cloudy water. If you do not mind the white water, you don't even need too act. There are no known health risks associated with cloudy water.